Dean Obrecht, 88, of Ames, died on Thursday, November 8, 2018, at Israel Family Hospice House in Ames. A Celebration of Life service will be held at 11:00 a.m. on Saturday, November 17, 2018, at First United Methodist Church in Ames. Visitation will be from 5 until 7 p.m. on Friday, November 16, at Adams Funeral Home in Ames. Burial is at Ames Municipal Cemetery. Martin Dean Obrecht was born October 20, 1930, in Harlan, Iowa, to Martin Otto and Ethel (Adams) Obrecht. They lived on a farm near Kirkman until 1941 when the family moved to Ames. Dean graduated from Ames High School in 1950. He married Wahnita Williams in 1951. 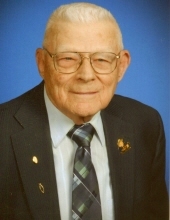 He then served in the U.S. Army in Korea from 1951 to 1953. Before and after his military service he worked at Eschbach Music House as a TV technician. In 1960 he opened his own business, Dean’s Radio and TV, in campustown Ames. Dean and Dianne Claussen were married on June 17,1961, in Waterloo, Iowa. They raised five children, Rene’, Randy, Kathy, P.J. and Kristy. Dean was a member of First United Methodist Church in Ames where he served in various capacities including sound technician for many years. He especially enjoyed participating in the church Appalachian Service Project for ten years. Dean was a master gardener and continued planting and harvesting a large garden until age 86. He loved bird watching through the kitchen window while listening to bluegrass music and working on his stamp collection. In retirement he developed the hobby and business of recaning and repairing chairs. He and Dianne enjoyed many road trips to visit children and grandchildren in Florida and Montana. Dean is survived by his wife Dianne; daughters, Rene’ Ramsey of Marion, Iowa and Kristy Peach of Choteau, Montana; sons, Randy Obrecht of Grand River, Iowa, and P.J. (Cindy) Obrecht of Naples, Florida; grandchildren, Ed Lewis, Keri Wellman, Ian Obrecht, Martin Obrecht, Anna Obrecht, Adair Peach, Jonah Obrecht, Ella Peach and Lucas Obrecht; six great-grandchildren, Corey Ramsey, Savannah Gilbert, William Wellman, Katie Wellman, Noah Wellman and Libby Wellman; one great-great grandchild, Serenity Ramsey; sisters- in-law Linda Claussen, Judirae Obrecht and Mary Obrecht; nephew, Mike (Julie) Obrecht; niece, Jennifer (Robert) Zhai; great-nieces, Kelsey (Jordan) Kay and Alison Obrecht. He was preceded in death by his parents; step-father, Phil Walter; daughter, Kathy Obrecht; brother, Jim Obrecht; nephew, Jim Obrecht, Jr.; son-in-law, Carl Ramsey; grandson, Doug Ramsey; and grandson-in-law, Michael Wellman. In lieu of flowers, memorials may be directed to First United Methodist Church, 516 Kellogg, Ames, Iowa. To send flowers or a remembrance gift to the family of Dean Obrecht, please visit our Tribute Store. "Email Address" would like to share the life celebration of Dean Obrecht. Click on the "link" to go to share a favorite memory or leave a condolence message for the family.